I always feel a party is not complete without a chat in it. Infact when I first planned it, I almost selected all of those Chats I am yet to make at home. However since Preeti was having the Kid’s delight themed on Street food, I made them last week and also planned on for this Party menu. Infact there was a time when I thought I must take a list of chats that are well known and try all of them at home. I have almost made most of them at home. Some I have even repeated many times, which shows how much my family likes those chats. However I have never attempted making Dabeli and Vada Pav. I finally got around tasting this, when we had our BM 25th Meet celebration at Vaishali’s place in Ahmedabad. Once having tasted these two from an actual fast food joint, I was most eager to make them myself. When Vaishali suggested she had street food in mind, both on the first day and on the final day lunch, I was so excited. The dinner we had on the first was really a foodies dream come true. And if something actually met more than expectation, was the lunch we had on the last day. She was surely tempting us when she said she was going to take us for a Vada pav treat. That fast food joint served Dabeli as well. 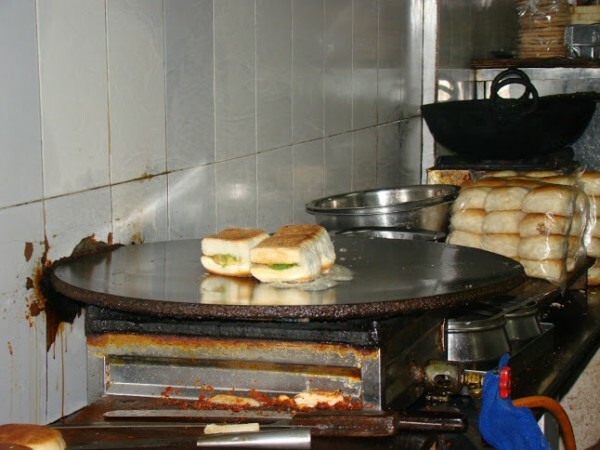 We ordered Dabeli, Vada Pav, Muska Bun and then cholarfali. We even had a elaborate preparation shown to us by the cook. 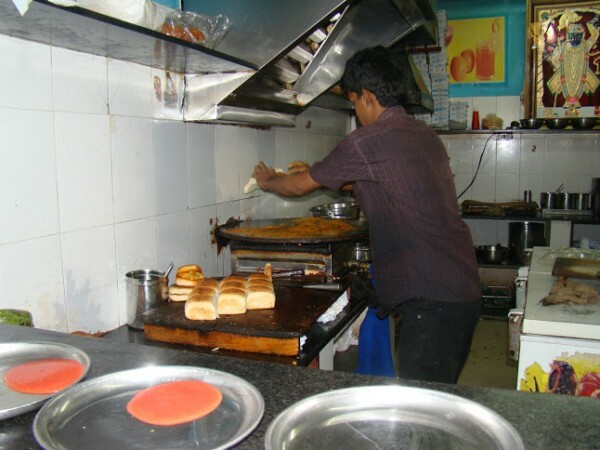 Since the official photographer was in a mood to do a video, the cook danced for her, while preparing the Vada Pav. 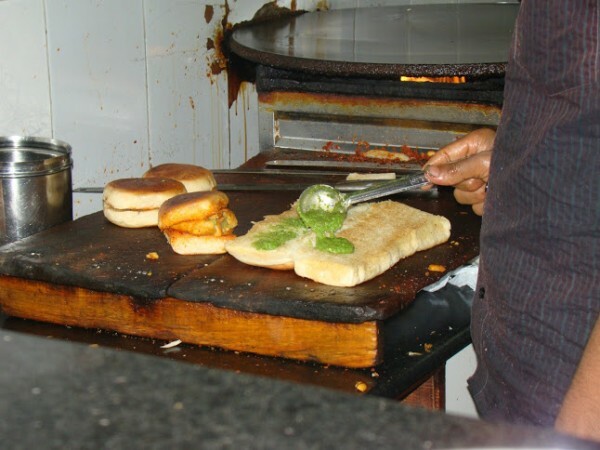 We could hardly wait to taste the delicious looking Vada Pav and Dabeli. 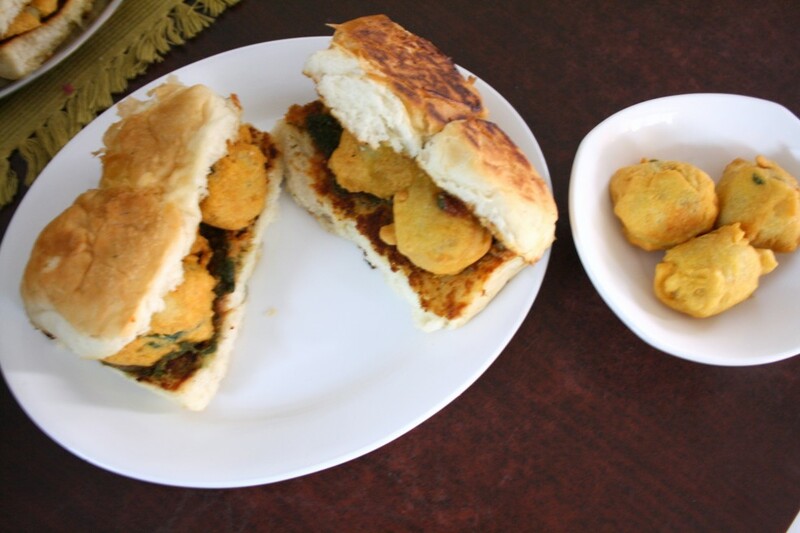 I liked Vada Pav better than Dabeli, as Vada Pav was really so spicy, whereas Dabeli was more sweetish. However when I made it at home, we liked Dabeli better. Maybe I didn’t make it as spicy as it ought to be. Anyways nothing was left and everybody was so happy at being served first class chat dishes at home. 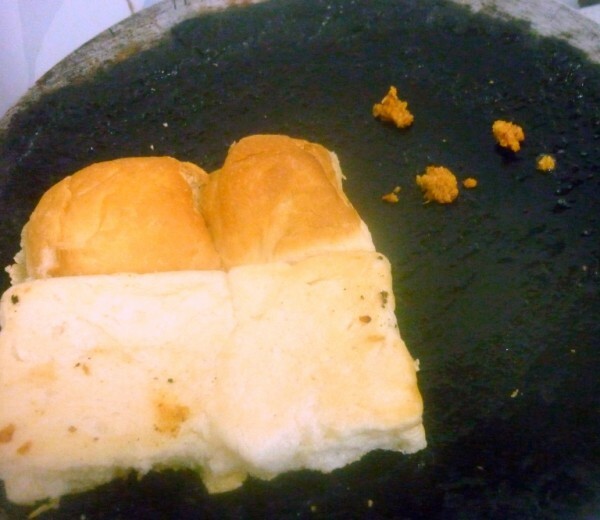 I had clicked pictures of how that person was making Vada pav, and made sure I did the same. I even add extra chili powder when I made for my hubby dear. 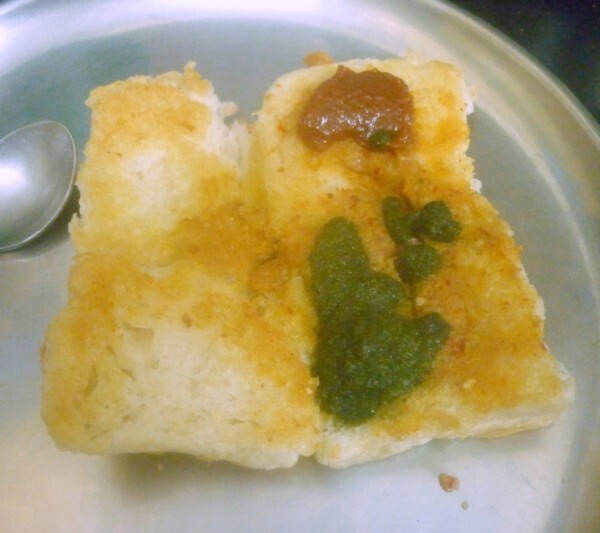 Though he refused to eat Dabeli, he ate this and really liked it. His alone was more spicy and the peanut garlic chutney was really nutty and spicy. 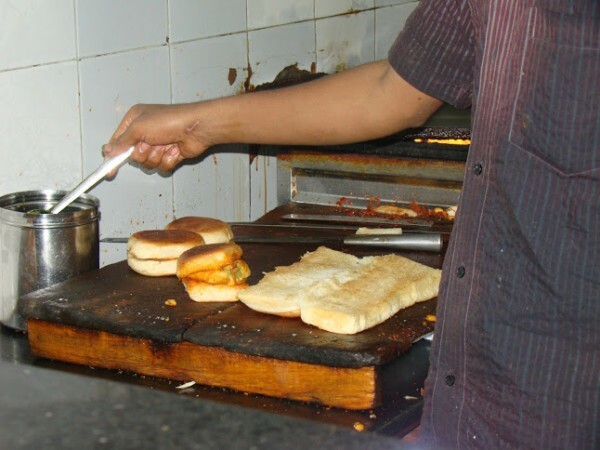 Now coming to Vada Pav, I was always fascinated by this Chat. I always wondered how this dish came about. Maybe it has to do with me always thinking about food or having people decide and assume that I know more about food and cuisine, it comes second nature that I understand a dish even before I actually know what goes into it. I know I am not being very modest here, but hey I am just trying to understand how I do it myself. So we, couple of my colleagues, had this discussion on best Chats available in Madras and they were asking me on my opinion. I frankly said I hadn’t eaten that much chat lately, as there is hardly ever time to go out for chats. So this guy who has been in Madras for couple of years, said the Vada Pav he ate here wasn’t that good when compared to what he ate elsewhere. So in response, I said one shouldn’t compare chats. Chats always take after the region where it is made. 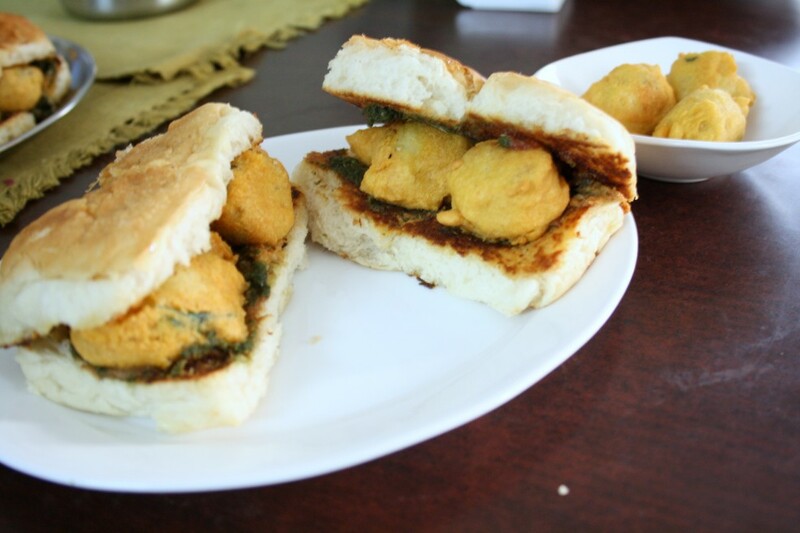 Like Vada Pav itself sounds like it’s a cousin to the South Version of either vada or Boonda. I faintly remember reading sometime back that it was aloo bonda stuffed but I wasn’t sure. Anyway we sort of ended the discussion amicably of course. Now after Ahmedabad, I know I will love Vada Pav. I can happily eat anything between two slices of bread. And what’s not to love in that, all fried and all that! 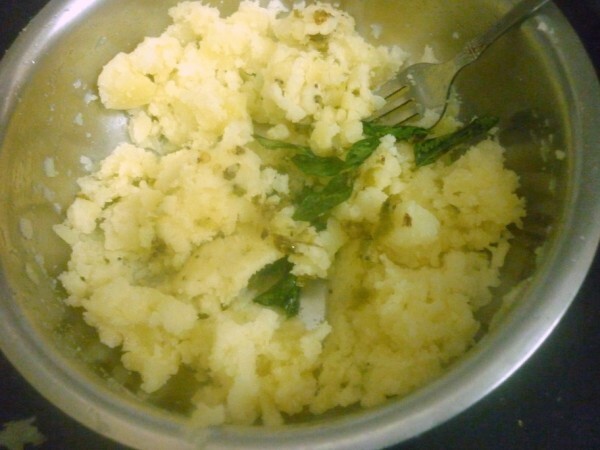 Even during that time I wasn’t sure how or what went in between, other than knowing it’s aloo. We were so busy chatting right. 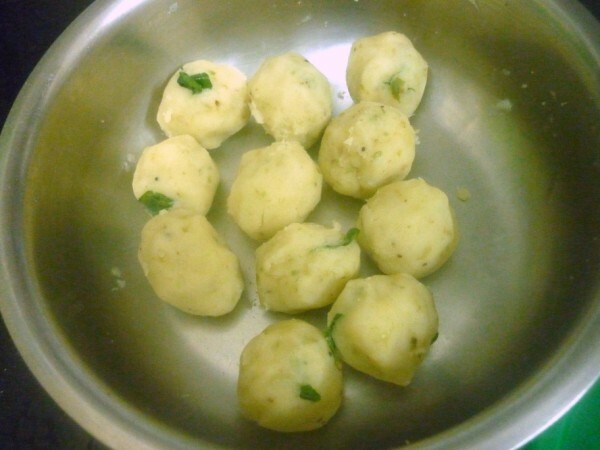 When I finally referred the recipe I had, I was surprised that it was indeed stuffed with Aloo Bonda and that too south Indian way. I guess this chat came into existence when a vendor from south had too much boonda on hand and for want of better idea, stuffed within Pav! Of course when it is called Chat, it needs all those chutneys right. So I ended up making so many chutneys for these chats. On a different note, I was happy this morning, reading my anniversary card from my office. Many of my colleagues, apart from wishing on my card, had written that they missed my cooking lately! Now being appreciate for my work capacities was one thing, but being mentioned on this, got me elated! Not to mention the pretty flowers in the morning surely brighten my day! 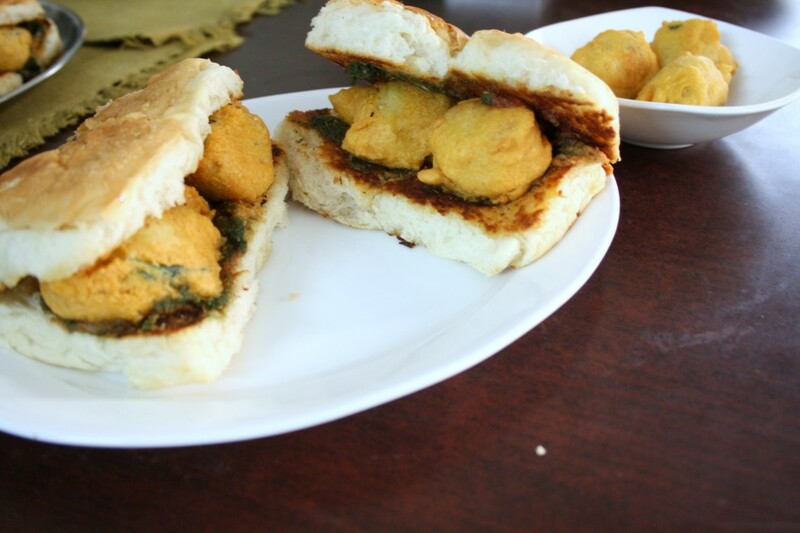 While I think of what else to make for Konda, who started her exams today, you enjoy these delicious Vada Pav! 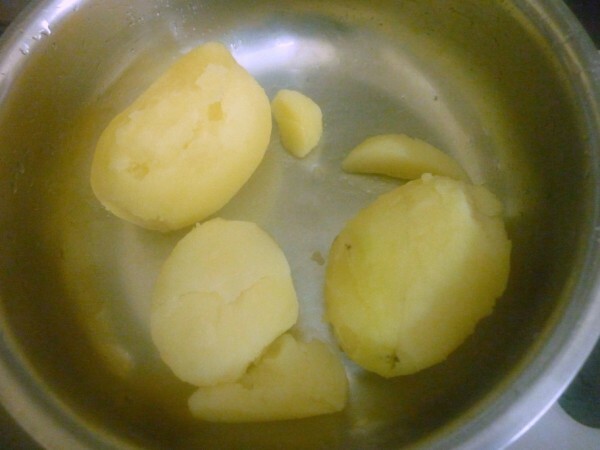 Wash and MW the potatoes for 5 mins with outer layer marked with knife. Soak in water and peel. 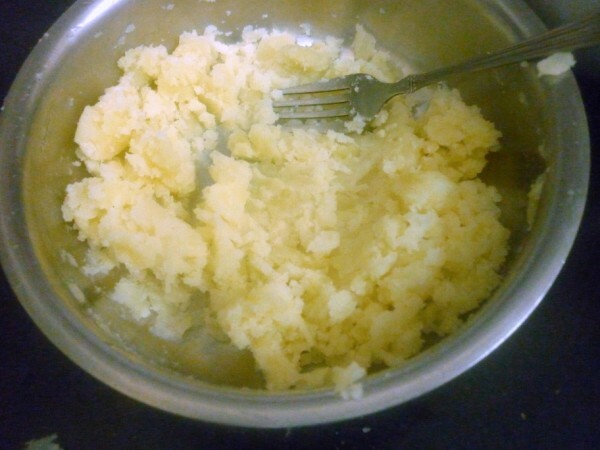 Mash it completely to paste. 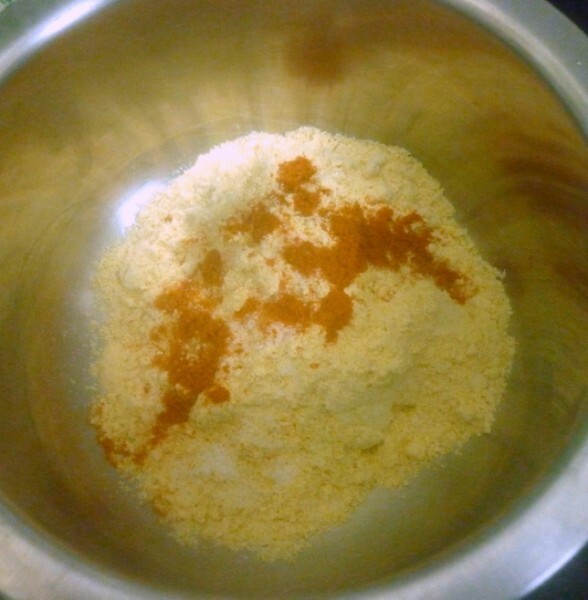 Take the besan add salt and red chili powder. Slowly add water and make a smooth batter. Keep it aside. 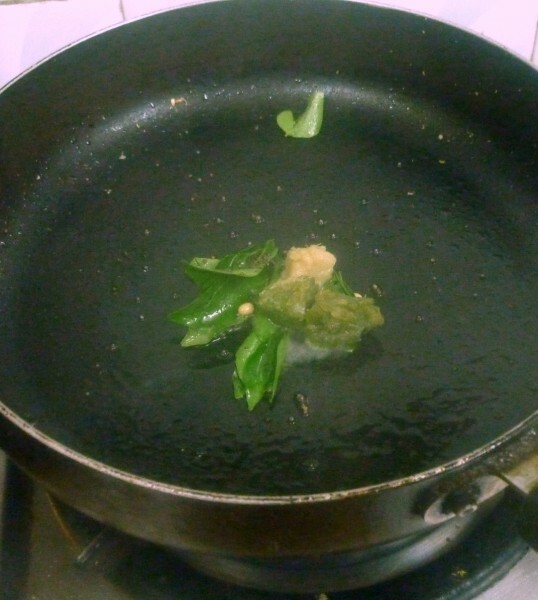 Heat a pan with oil, temper with mustard seeds, curry leaves. Then add ginger garlic paste, green chili paste, saute well. Then add this to the mashed potatoes and mix well. 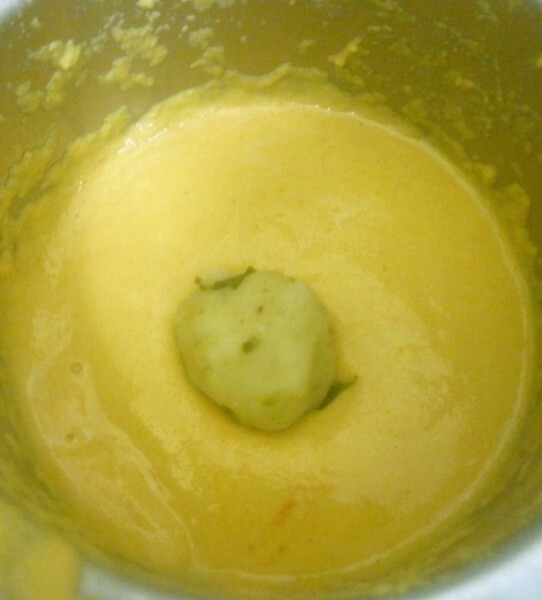 Divide the potato mix into equal balls. 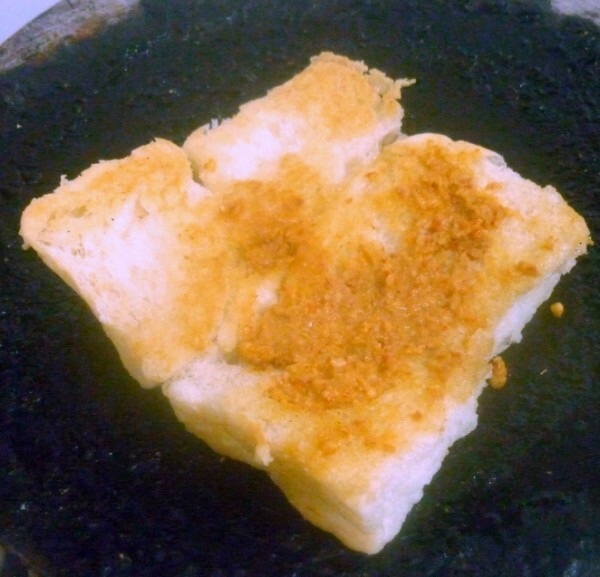 Heat a tawa, grease with butter. 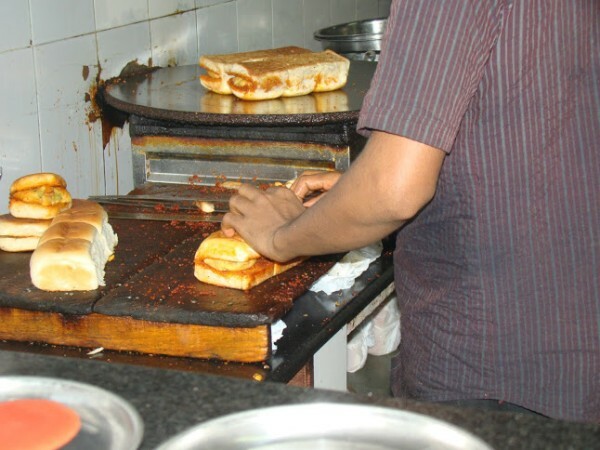 Put the peanut garlic chutney, spread the slit Pav bun over it and spread well so that the chutney is spread evenly. 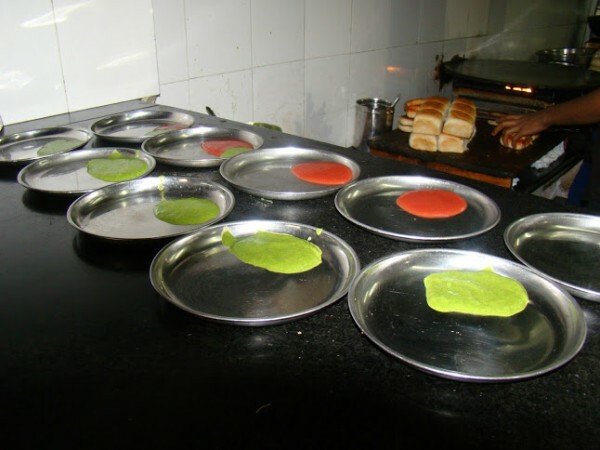 Remove, spread a spoonful each of Tamarind Chutney, Mint-Coriander Chutney on top and bottom layer. Place a potato ball on the bun and fold over, pressing down gently. Serve while the potato ball is still hot. Below are the pictures I clicked when we were in Ahmedabad, I almost thought I could skip taking a step by step picture myself! If you notice, the cook actually cooks the bun in the butter after stuffing with aloo as well. I tried doing exactly the same. 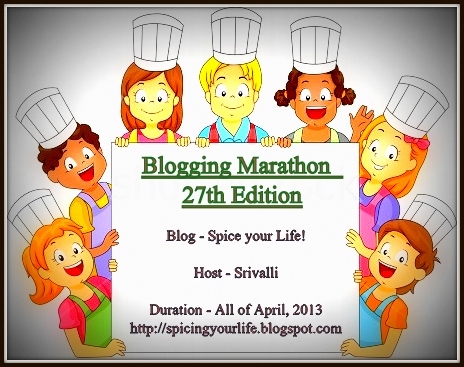 The chutney recipes will follow soon, the perils of doing a 30 day marathon! Even though I tried making it spicy, the ones I remember eating in Ahmedabad was really very spicy. However what I made was very good and just as per our taste. tempting pictures of all prep and final dishes. That's a detailed post Valli.How much time did you put into this post? :)Love all the detailed pictures. I usually pass this as I don't like garlic while my husband loves it. Beautiful bouquet, enjoy the flowers valli,thats so nice of them..Vada pav, irresistible and am drooling here. Such a filling and tasty appetizer! I could eat this all day 🙂 I love eating it on the streets bought from vendors. very good tutorial.love the flowers.Happy anniversary. 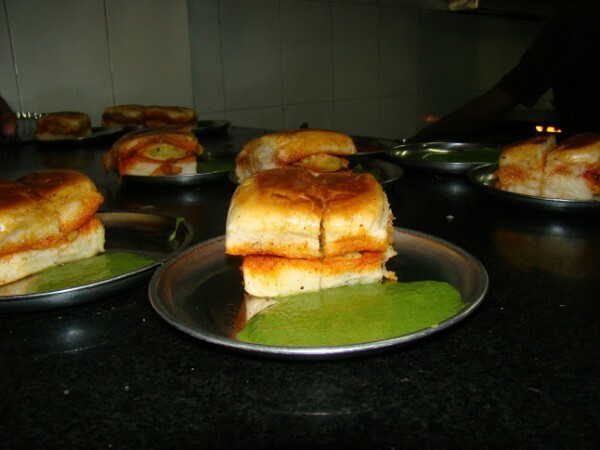 The vada pav looks so nice Valli. Whenever you girls mention about Ahmedabad, I am feeling so sorry for having missed it. 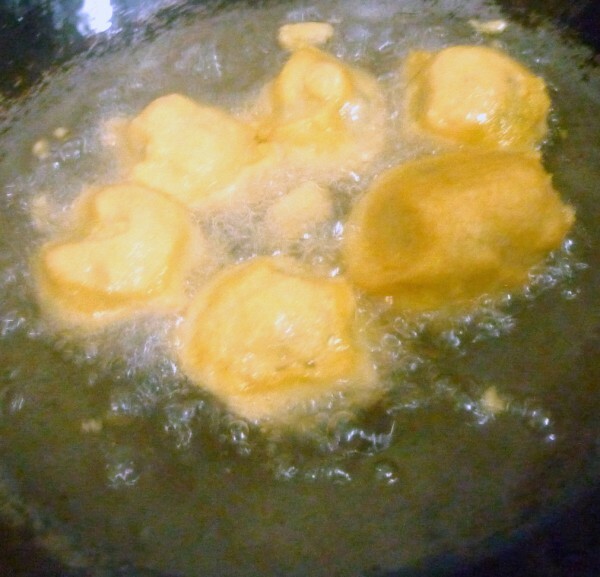 So yummy lookung vadas! I just love it. Looks very easy to make because of your step by step picture.. I am sure my husband would love this..appreciate the detailed post!! A very Happy Anniversary Valli ! 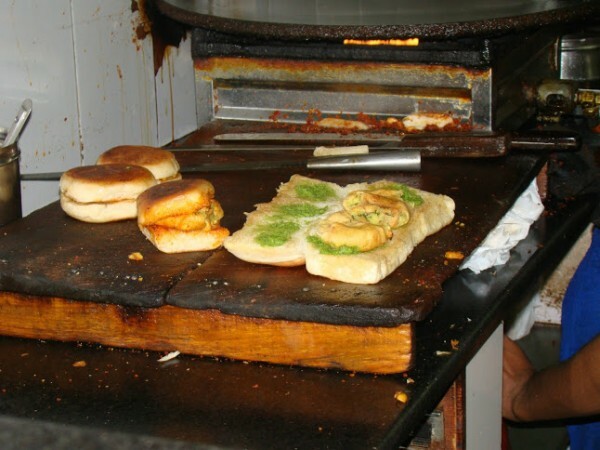 The vada pav looks pretty cool. 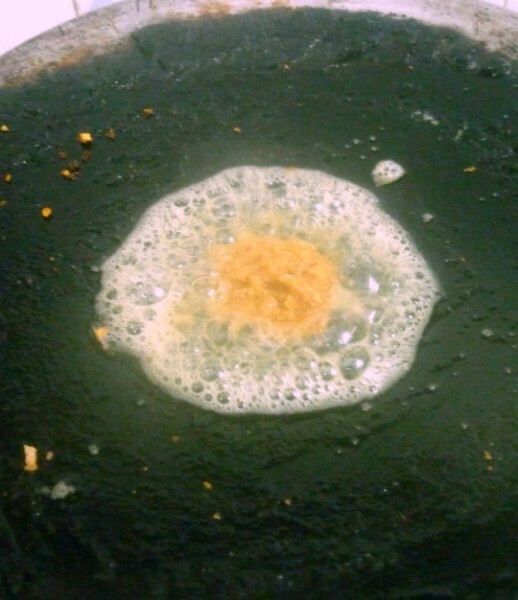 You have the perfect recipe, except you need to add a bit of turmeric to the vada masala. The reason why the Ahemdabad ones were spicer, because these guys actually use lot of lassan chutney, which we would be hesitant. It actually makes sense to eat according to our home taste. And you got me back to those were the days ! Awesome post Valli. Vada pav is definitely a culinary experience-simple ingredients but it's the delicious combination that makes all the difference. Congrats on completing another year at office and the flowers look so beautiful. Its you weding anniversary or your office anniversary. Anyway happy anniversary! Vada pav is delicious. 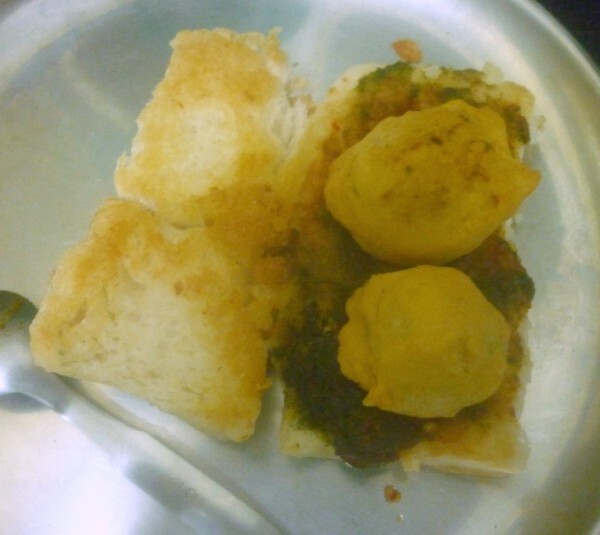 Iwish I was back in A'bad eating all that we ate especially this vada pav , which I prefer to dabeli and cholafelli.